I participated in POPSUGAR’S reading challenge this year purely for fun, without truly aiming to complete the challenge. I’m quite happy with how many categories I have been able to cross off; I will be posting my wrap-up closer to the end of the year. 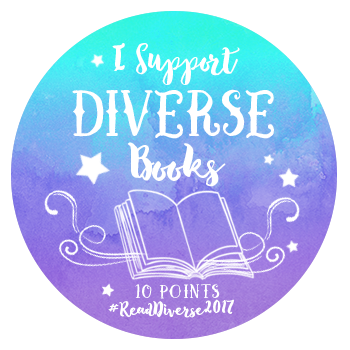 I have already decided to participate in the POPSUGAR 2017 reading challenge, which they have made even more challenging by adding additional categories! For those who want to participate, there is also a very active Goodreads group dedicated to the challenge. I haven’t gotten any further than that so far! A book that has been on your TBR list for way too long: Dawn by Elie Wiesel. Review here. A book by a person of color: Milk and Honey by Rupi Kaur. A book that is a story within a story: Where the Mountain Meets the Moon by Grace Lin. Review here. A book with multiple authors: Will Grayson, Will Grayson by John Green and David Levithan. Review here. A book by an author who uses a pseudonym: The Reptile Room by Lemony Snicket. A bestseller from a genre you don’t normally read: The Happiness Project by Gretchen Rubin. Review here. A book by or about a person who has a disability: Eliza and Her Monsters by Francesca Zappia. A book with a subtitle: Dog Whistle Politics: How Coded Racial Appeals Have Reinvented Racism and Wrecked the Middle Class by Ian F. Haney-Lopez. A book that’s published in 2017: A Conjuring of Light by V.E. Schwab. Review here. A book about food: A Year of No Sugar by Eve O. Schaub. Review here. A book with a red spine: The Underground Railroad by Colson Whitehead. Review here. A book with a title that’s a character’s name: Ms. Marvel, Volumes 2 – 5. Review here. A book with an unreliable narrator: The Perfect Stranger by Megan Miranda. Review here. The first book in a series you haven’t read before: Saga, Volume 1 by Brian K. Vaughan. Review here. A bestseller from 2016: Hillbilly Elegy: A Memoir of a Family or Culture in Crisis by J.D. Vance. Review here. A book with an eccentric character: The Murder on the Links (Hercule Poirot) by Agatha Christie. A book that’s more than 800 pages: A Game of Thrones by George R.R. Martin. Review here. A book about a difficult topic: The Hate U Give by Angie Thomas. Review here. Do you plan on participating in the 2017 POPSUGAR Reading Challenge? Do you have any recommendations for the reading prompts? This entry was posted in Reading Challenges and tagged Reading Challenges. Bookmark the permalink. ← I don’t celebrate Christmas, and that is okay!